More to the point, do you know why? If you read my report last year on reforming PURPA contracts, you do. Here’s an excerpt, with hot links used in place of the end notes. The oft-repeated statistic of “second in solar” owes to favorable state energy policies for the solar energy industry. It is not market-driven — a fact renewable energy advocates readily acknowledge. 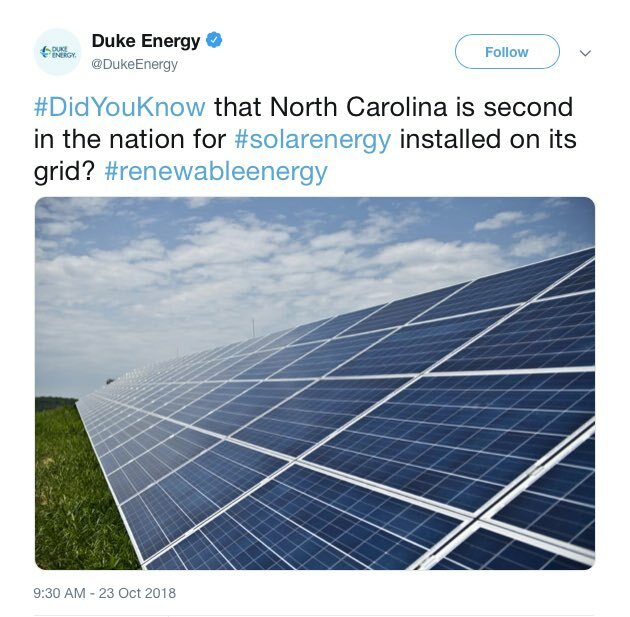 The way North Carolina has chosen to implement PURPA regulations is very favorable to solar energy facilities. In fact, North Carolina has several other public policies that are very favorable toward solar energy facilities. Their combined effect is that North Carolina alone is home to 60 percent of all PURPA projects in the entire United States. See chart. The Federal Energy Regulatory Commission lets each state implement PURPA regulations. This means states differ over them, sometimes widely. Over time, many states have changed how they implement PURPA rules, including reducing their avoided-cost rates and contract lengths. All told, the political environment in North Carolina is heavily tilted in favor of solar energy facilities. The major electricity policy restructuring law passed last year included provisions to get every last solar installation already built or somewhere in the works under contract with Duke Energy (see discussion of Section II). That bill was a “grand compromise” that made some needed reforms to PURPA contracts (but not avoided-cost rates! ), among several other things. It is for all those reasons and more that I consider solar an unsustainable energy source.